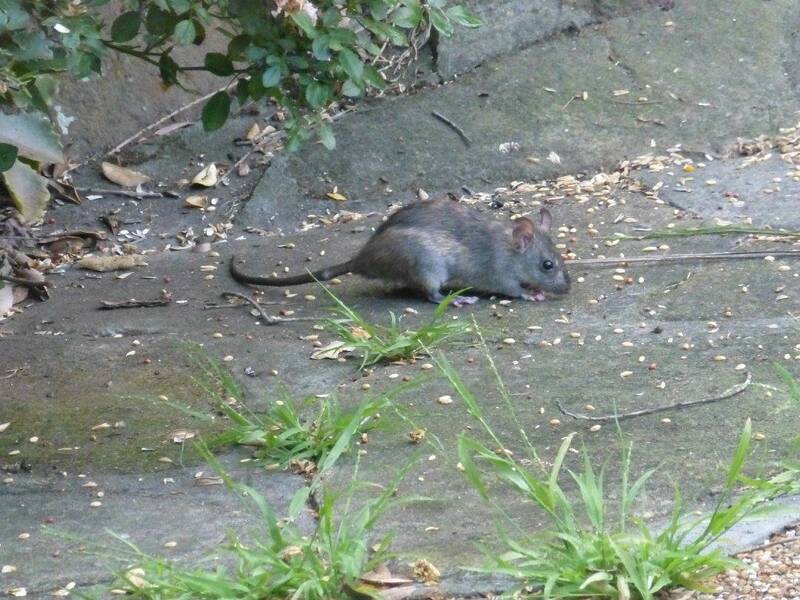 Following in the paw prints of Spaghetti Rat and Pizza Rat comes Bits-That-Fall-Off-the-Bird-Feeding-Tray Rat. He is pretty pleased to have found an apartment with an alfresco dining café at the front door. With Christmas just around the corner, he is rather hoping the café menu might be adjusted to suit the season, so that he can become known as Bits-of-Plum-Pudding-and-Mince-Pies-That-Fall-Off-the-Bird-Feeding-Tray Rat. If appearances are anything to go by, his penchant for café dining may have him applying for the next season of The Biggest Loser.